Australia’s retail advertisers delivered the greatest increase in advertising expenditure of any product category in the 2017 financial year with total investment soaring by $90 million, according to new data from Standard Media Index (SMI). 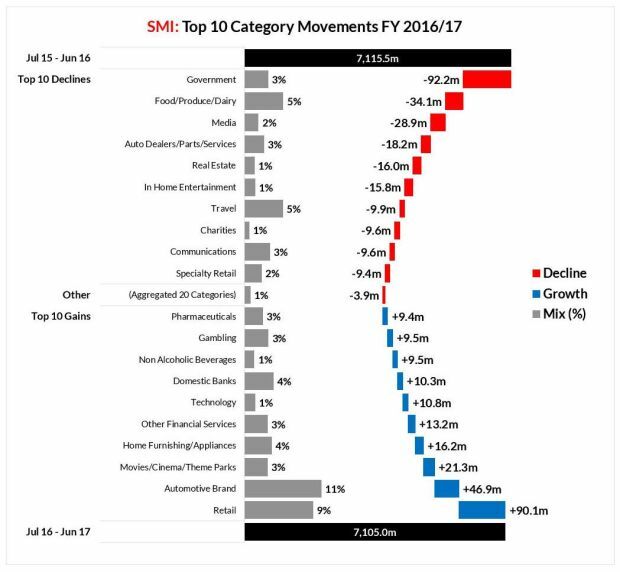 SMI’s financial year 2017 advertising expenditure report revealed the top 10 product category movements over the corresponding period in FY 2016. In terms of total size, the Retail category is only topped by Automotive Brand, which remains the market’s largest product category by providing 11% of all financial year advertising. But Retail advertisers collectively delivered the greatest growth in FY 2017, with total advertising spending up $90.1 million to provide 9% of all advertising this financial year. Unsurprisingly, the biggest fall in advertising spending was recorded by the Government category, following the huge spike due to the Federal Election last year. The Food/Produce/Dairy and Media categories also declined in advertising spending. Among the major media, Television remained by far the preferred media for Retail advertisers with total ad spending growing 13.2% to $268.4 million. But the fastest growth in Retail ad spending was in Outdoor, where total bookings lifted 50.2% to $54.2 million, followed by Digital where Retail ad spending grew 29.1% to $153.8 million. 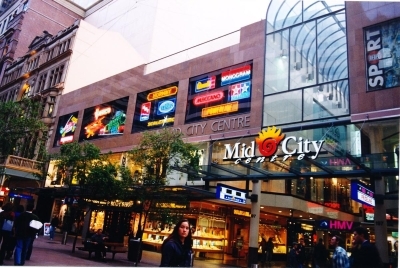 “The large increase in advertising investment by Retailers is clearly due to the intense battle in the supermarket category, as well as the imminent entry of Amazon that will see a surge in retail advertising activity,” SMI AU/NZ managing director Jane Schulze said. “The fall in Government category ad spending also served to disguise continuing growth from other key product categories and shows the underlying strength of the advertising market. But in the first six months of the new financial year there will be yet more tough hurdles given the Rio Olympics and Census were held in that period last year which inflated the market with incremental spending. 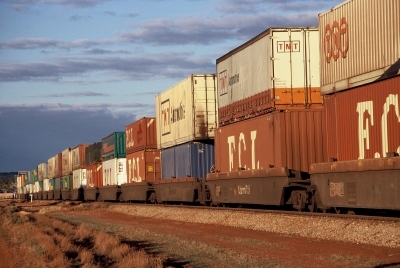 Australia’s ad market will deliver its 5th consecutive year of record financial year expenditure in 2016/17 to reach in excess of $7.1 billion.